Because you deserve a little something beautiful this time of year, too. First up, head over to Hello Lidy, and see how she crafted a sequined planter. Glamour meets botanicals. It's a lovely marriage. 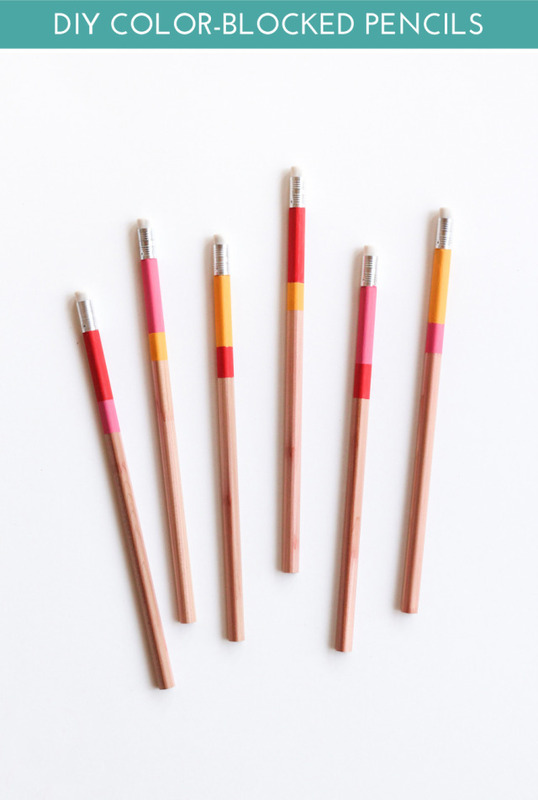 And then head over to The Crafted Life and see how Rachel transformed the average pencil into a work of art. Can you imagine these in a bunch/bouquet? Or tucked inside a cute journal? I'm inspired. And I might want to colorblock everything. This awesome series of Back to School ideas continues tomorrow with an epic recipe. Really. It comes from Lyndsay of Coco Cake Land. Go ahead over there and salivate at the deliciousness. Even more is coming at you tomorrow!! Also, another incredible Endless Summer Project is in store for Wednesday. Ack, so good. Are you making the last days of summer special? Do share!